Archterra is a small architectural practice located in Margaret River, Western Australia. The office is led by Paul O'Reilly in association with Pepper, the office dog. 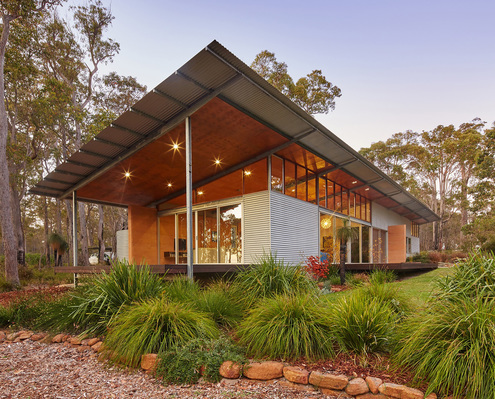 Bush House by Archterra Architects A Home Inspired by the Feelings of Camping Under a Simple Tarpaulin In a natural clearing of bushland, this home with simple detailing and an earthy palette captures the spirit and joy of camping. 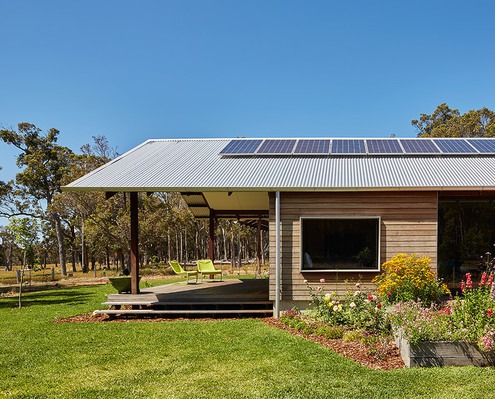 Farm House by Archterra Architects A Modern Farm House with a Traditional Farm-Style Verandah While this modern farm house feels shiny and new, traditional elements like the generous verandah gives it the best of both worlds. 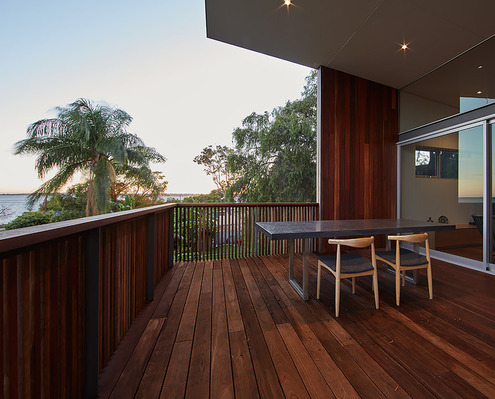 Dawesville House by Archterra Architects Coastal Holiday House Gets an Upgrade Fit for a Permanent Sea-change A 1970s-era weatherboard holiday house gets a serious revamp to make it perfect for Grandparents' retired living.